The Prestigious world series of poker hosted Global Casino championship will take place Harrah’s Cherokee Casino Resort from August 9 and will conclude on August 11, 2016. The tournament is one of the most prestigious casino tournaments in the world and it will be hosted by WSOP at Harrah’s in North California. The championship featuring a WSP Gold bracelet and a minimum prize money of amount $1,000,000 will be broadcasted live by ESPN. Previously the tournament did not welcomed players from different WSOP international circuit players but this is going to be changed now and the 2016 Global casino championship will welcome players from WSOP international circuit players. The other WSOP venues from which the players are expected to join the league are like Morocco, Georgia, Italy and the Czech Republic. Other locals will also try to qualify for this particular tournament. 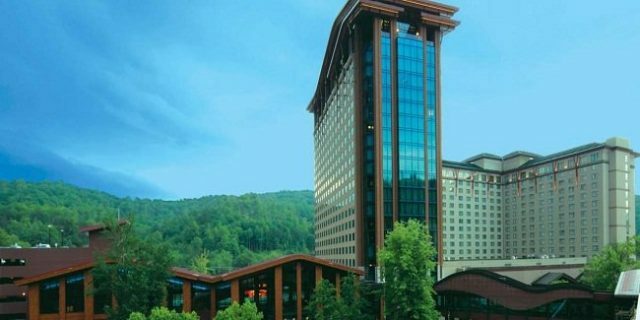 Harrah’s Cherokee Hotel and casino is based in North California and it would host the first WSOP Circuit from August 4-16, whereas, the Global Casino Championship will be held in between these days i.e. from August 9 to August 11. The full circuit will have 12 gold rings for 12 different events and it will also feature a $1,675 buy in Main event No Limit Hold’em and $2,000 buy in High Roller. At least 100 players from around the world will get free seats/entry to this prestigious casino championship. Meanwhile other 12 (Gold ring winners from different WSOP tournaments for the year 2015/16) will get an automatic entry to the Global casino Championship, whereas the rest of the automatic kind of qualifiers will get an entry by their points to the leaderboards. According to the reports, all the players who have got free entries to the tournament will also receive $500 as travel stipend and three nights free stay at Harrah’s Cherokee hotel + plus, if anyone of them making themselves through to the final table, he or she would get another free night at Harrah’s. Sam Barnhart won the championship in 2011 for $300,000. Ryan Eriquezzo won the title in 2012 for $416,599. Jonathan Hilton won $355,599 in 2013. Dominik Nitsche won the title in 2014 for an amount $335,659. Loni Harwood of United States won the championship in 2015 for $341,599.